HIGH: "Let's meet in Hong Kong to do our audition video? It will be fun! Even if we don't make it, we will at least have Disneyland!" LOW: "We went to the trouble of meeting here in HK to do this. The race always casts celebrities for Philippine teams. We won't stand a chance!" HIGH: Got a callback less than 12 hours after submitting the audition video. "%*@^&#(#^$o!!! Do we really have a chance??" LOW: They haven't responded. "Did we get cut?" HIGH: "OMG we got an interview with the casting producer!!!" LOW: It was a requirement to be together while doing it. I'm in Singapore, Tonix was in Europe. HIGH: "YOU KNOW WHAT? LET'S MEET HALFWAY! I'LL BOOK A WEEKEND FLIGHT TO ISTANBUL!" LOW: "Tonix, I couldn't get on my flight. *crying like a baby in Changi Airport*"
HIGH: "Oh wow, they'd interview us apart! They must have liked our profile!" LOW: "I feel like we bombed that interview." HIGH: "No, we didn't. I think it went well!" HIGH: Former racer saying, "WOW! YOU GOT THAT FAR??? There's still time. Maybe there's still a chance." 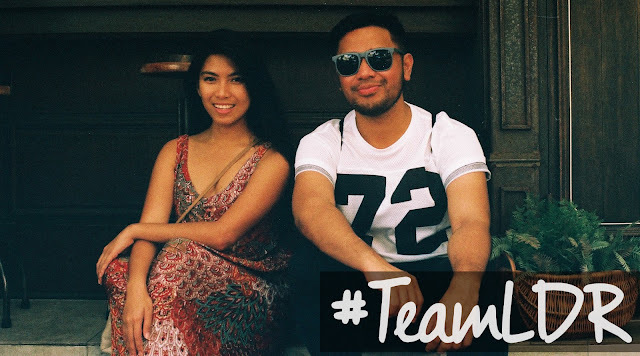 Without further adieu, here is our audition video for The Amazing Race Asia Season 5. Up to this day, we still smile rewatching this, and we hope to get a few smiles from you too!